May is full of wonderful surprises and is always a welcome month after the rigours of winter and wet early springs. There is plenty to be getting on with, but there is also still just time to finish off the jobs that were not done at the end of April. One job, which should be done about now is "nicking" and "notching" in the apple orchard. Traditionally, apple trees were pruned more than once through the year and this is one of those jobs you can do alongside "rubbing". If you are not sure what I mean, then I shall endeavour to explain. 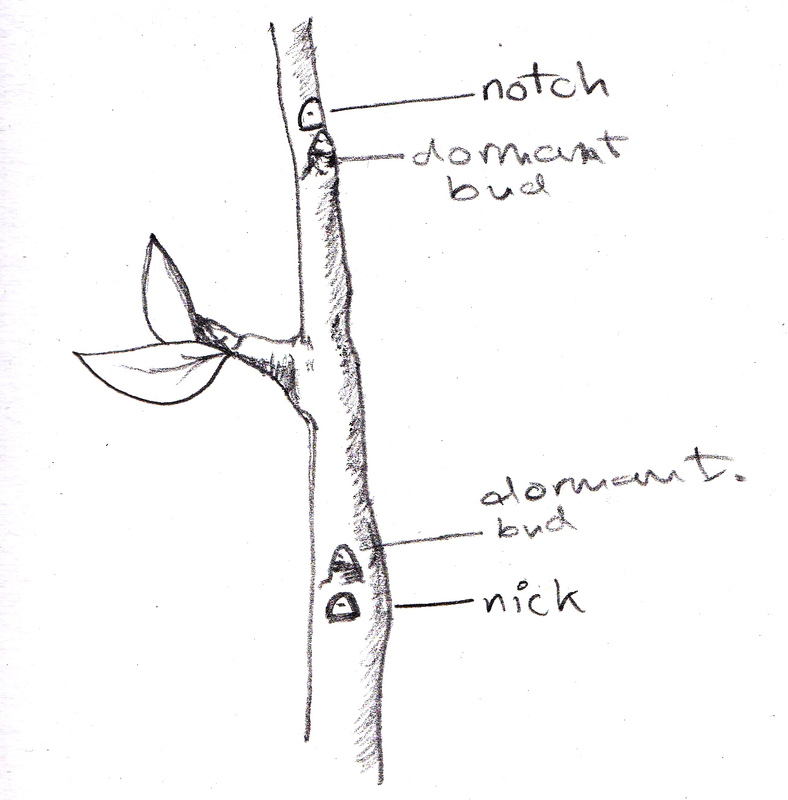 If you have a tree which is lacking or is sparse in bud then notching is your game. Simply cut a small triangle of bark above a dormant bud to stimulate growth. 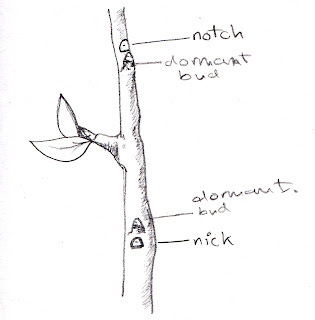 If you have a tree with odd or no bud growth toward the end then nicking is your man. Simply cut a small triangle of bark below an active bud to prevent its growth and thus allowing sap to rise further along the branch. Rubbing is the age old practice of removing flower buds from the over burdened branches. This will help the fruit form in a more healthy manner and allow for a larger fruit! You can do this by simply rubbing the flower off the branch with your thumb. If your tree is still refusing to give any fruit, then you may have a problem with suitable pollinators. 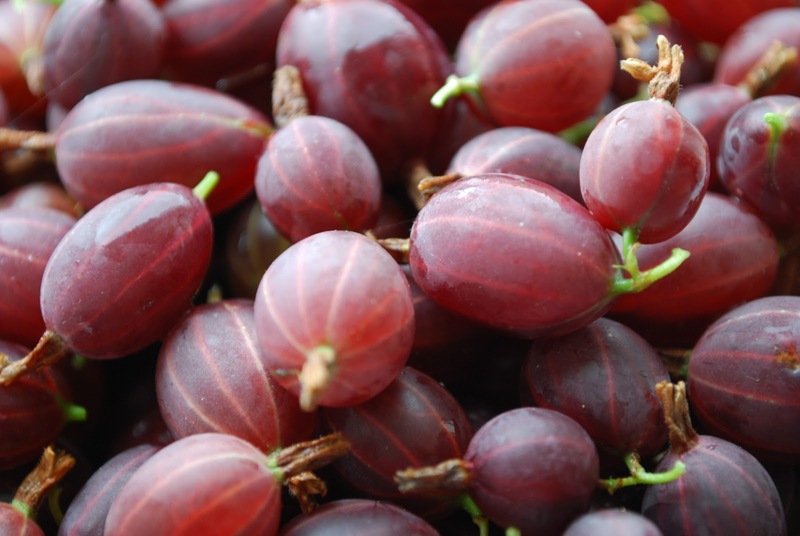 Check the Brogdale National Fruit Collections to see if your variety needs specific treatment. One last thing, remember the golden rule of all fruiting and flowering branches: Vertical promotes growth, horizontal promotes fruit! Well, what a year it's going to be! Britain is hosting the Olympics, the Queen is having something of a celebration, and Cambridge will win the boat race - dragging us from the embers of financial meltdown. Let us not forget a new species of tree shall be discovered (according to my tea leaves). Fully hardy, with orange leaves, purple fruit and blue bark, and having an abundance of highly scented yellow flowers all year round, it never outgrows the space it is given! So what am I doing to brace myself for this wonderful future? Well, having put my sharp border fork through my last pair of wellies, I am trying my new T&C pair out. 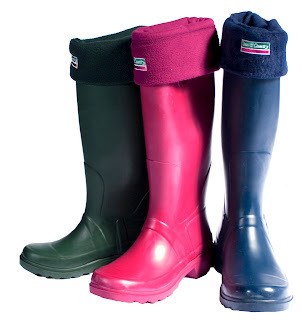 Lined with the fantastic Town and Country boot socks which my wife purchased as a Christmas present, I am warm and dry. The garden or rather the gardens I tend are looking and smelling great. The grass is green, the trees are, perhaps less so, but they are still alive which can't be bad. 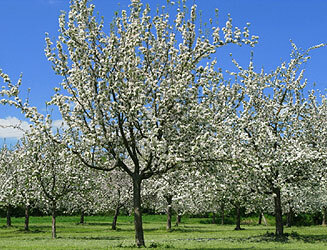 This month I will be pruning the apples and pear trees. I always like to leave this little chore till after Christmas as then I can be sure they are asleep and not forgetting that January is the Wassailing month - although I don't think jumping around naked at this time of year is a good idea; never mind how much cider is drunk. This month people have been asking me about growing fruit. I've been rather pleased with my soft fruit growing efforts which have been providing breakfast treats and desserts over the summer. The blueberry bushes are still heaving under the weight of the crop and the raspberry bushes are delivering up juicy gorgeousness daily. The strawberries ripen much earlier in the season so we've consumed all of this year's crop already and they were delicious! We generally call ourselves veg gardeners, but it would be a shame to miss out on fruity delights, so here are my top quick tips and tricks for soft fruit growing. Firstly beware critters after your crop! I grow all my fruit in pots and raised troughs - making it more tricky for snugs and snails to enter the fray. Secondly I cover all my fruit carefully with nets to stop all our hungry birdies demolishing the crop before we get to it! 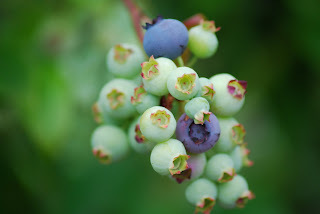 I also do a little research on prefered soils - for example blueberries need erichaceous soil - another good reason for growing them in big pots. Fruit crops need feeding and careful attention to watering when they are fruiting, so it pays to be vigilant on that front. Finally fruit bushes need pruning - and this differs according to which type of bushes you have, so again a little research pays off here. 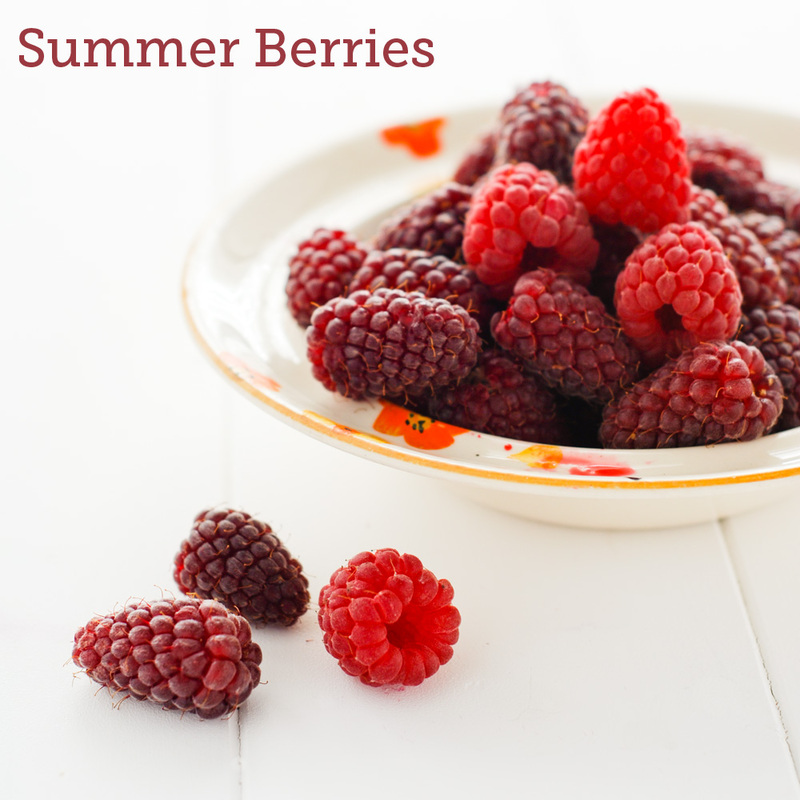 With a little care and attention you'll be enjoying juicy berries in no time! We all spend hours cultivating our flowers and vegetables, from the sowing of seed in early Spring in the greenhouse, if we are lucky enough to have one, or straight into the warm earth later on in the season. Then we nurture the seedlings giving them water and food to encourage good healthy growth and plant them out, watching over them as if they were our offspring. And then, depending on their type we enjoy the fruits of the harvest be it flower or food. This is a hugely time consuming hobby and we do it because we love it but it got me thinking that nature does this all on her own, without human intervention and the fruits of her labour are now apparent in the hedgerows, fields, grass verges and in fact any piece of uncultivated land up and down the country. And do you know the good thing about all of this? Free food! Now I like a bargain as much as the next person, so the thought of all this free food going spare was too much for me this month, so, bowl in hand I ventured out into the country lanes near my house to see what I could find. You don’t have to live in the countryside to find plenty of places where free food is in abundance but you do need to know what you are looking for. 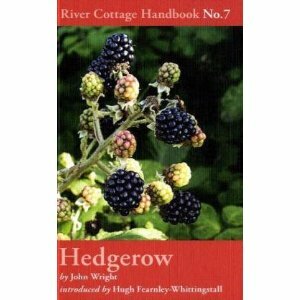 A word of caution here - please make sure that you don’t trample all over someone else’s land whilst in hot pursuit of the juiciest, plumpest blackberry or damson as there are rules about trespass and theft (hence the reason for buying the book), but you will be totally safe harvesting said blackberries and damsons from the hedgerows in country lanes. Make sure however that you try to visit a less well travelled lane due to pollution of the fruit from car fumes and try to pick the fruit that is higher up rather than at exhaust level. That said there is literally pounds and pounds of blackberries, damsons, plums, edible berries and the like just waiting to be harvested. So, what to do with all this bountiful treasure when you get home? The obvious candidates for fruit are jams, crumbles, pies, the latter with a large helping of double cream or custard and the great thing about this type of fruit is that you can freeze it really easily and use it throughout the winter months. One of my favourite ways to use it though is to make fruit liqueur and this is what we have done with the blackberries and damsons we harvested only last weekend. It’s really easy and there are loads of recipes available online but the basics are to prick the fruit (damsons, plus, sloes etc - not necessary for blackberries) and place them in a sterilised container. Add sugar and the alcohol of your choice - I did rum and gin - and then basically stir and leave for three months or longer to turn into the most amazing Christmas tipple. Cheers! Last Spring I finally decided to plant some new berry bushes against the brick wall that runs alongside our vegetable beds. Redcurrants we already have, as they were left here by the last owner. We used to grow blackcurrants, but we decided to take them out as they were getting old and took up too much space. Wild blackberries we have in abundance, they sneak over the fence from the fields beyond. I also seemed to remember that blueberries are fussy about the sort of soil that they have so I discounted them too. We love raspberries so that was one in the bag. Loganberries remind me of my Dad as he grew a thornless loganberry plant in the garden when I was a child and we loved it's halfway house between blackberry and raspberry, so I chose one of those. I then remembered a post on My Tiny Plot that spoke of fragrant Tayberries, so I thought I would give those a go too. Last year we had a mere handful of fruit off each plant, but I didn't expect too much of them in their first year. 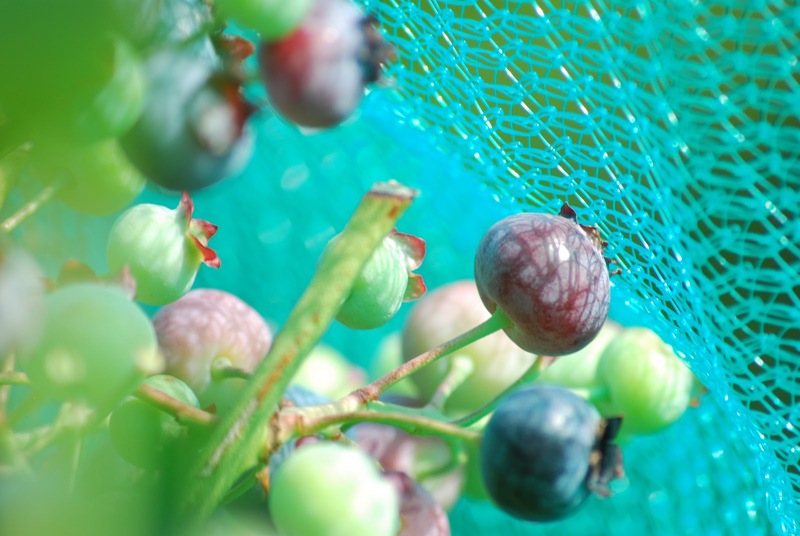 This Spring we made sure that we covered them well with netting to stop the blackbirds stealing the fruits of our labour and we have been blessed with berries aplenty. We have had bowls of berries with cream and made several fruit fools with them as well as adding them to cakes and puddings. The Tayberries are the least productive, they have very spiky stalks and the fruits are so soft that they tend to come apart when you pick them. The loganberries are nice, but you must leave them until they are very dark in colour before picking. The raspberries are the best cropping, seem to get least attacked by insects and are so easy to pick and prepare as the husk gets left behind on the plant. Soon I must get out there and get tying in and pruning to make sure we have a good crop next year. This month I've been asked lots of, "What next?" questions and it's true, there are always plenty of jobs to be done with a vegetable garden. For example there is still time to be sowing quick cropping veg into those gaps created by harvesting other plants. But one really important thing not to forget is to enjoy the fruits of your labour! 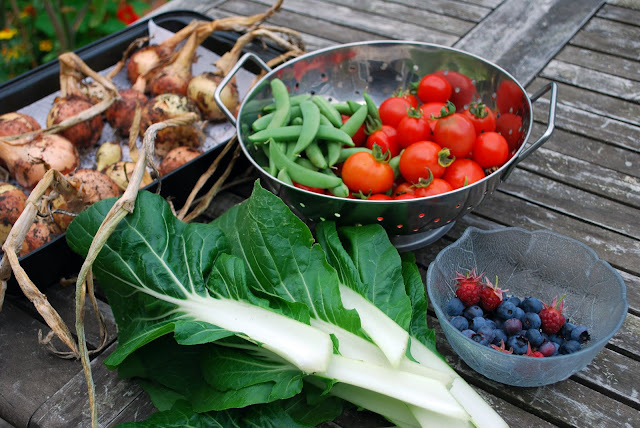 At this time of year you'll be finding you have so much lovely produce to choose from in your garden, it's all too easy to be too busy to really take the time to appreciate it all. So my advice is to get out there regularly with whatever you collect your fruit and veg in and really enjoy the picking of those strawberries, the digging up of those potatoes - like finding treasure I always think, the pulling of those carrots, the snipping of those lettuce leaves. Growing Your Own really is wonderful! So this week we will be planting out our three tomato plants that the girls and I have been growing on the windowsill in the kitchen for about a month now. The girls had a pot each and a few seeds and enjoyed planting them and have been anxious to see them grow. I always grow veg from seed inside first to stop them getting eaten by snails and such before they grow into a decent size plant. Over the last four weeks they have been watered every morning and turned occasionally so they grow straight up not all on one side. They now are starting to invade my kitchen so its about time they went outside into our raised bed. 1. Dig a round hole with a trowel about an inch deeper than the roots to make sure the roots can spread nicely, if the plant sits above the soil line the plant tends to die and we dont want that! 2. Carefully remove the soil from the pot by squeezing it gently all the way round the pot to create a small gap around the soil and the pot and it should smoothly slide out of the pot. 3. Gently drop the plant into the hole you have just dug out and push the soil all around it, then compress gently on top to make sure its securely in place. 4. Now push in a garden cane as centrally as you can into the soil as deep as it with go and secure with some twine. This will help the plant to grow tall and strong and move up as the plant gets bigger. once you tomatoes begin to grow they will weight the plant down so you need to make sure they are secured well. 5. Now water gently and admire your handy work. Keep checking on your new planted out tomato plants to ensure you are not being attacked by snails. If however they are then place a circle of salt around but not on the plants to protect from attack.